A development capital fund of 30+ years of investment experience actively seeks opportunities in the life sciences. The firm’s mission is to provide returns to its 600,000+ shareholders, and contribute to Québec’s economic growth through investments in small and medium-sized businesses from all industrial sectors. Its evergreen fund structure ables the firm to take a long-term approach on investments. Allocations in co-syndicated deals start at $1M but mostly range from $3-10M. The firm could co-lead investments. The firm seeks to invest in businesses with a significant presence in Québec, defined as having over half of its employees based in the province, or significant activities in the province. 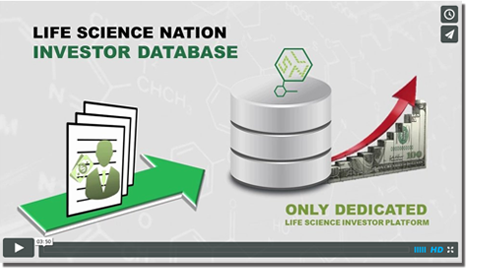 The firm has been a consistent life sciences investor for the past 30+ years. The firm is interested in both single asset and platform technology companies across a wide range of therapeutics including small molecules, biologics, cell therapy, gene therapy, etc. The firm is agnostic to therapeutic areas and invests at multiple development stages from pre-IND activities to Phase III. In medical devices and diagnostics, the firm invests only in profitable companies or those with an approved product. The firm is looking for experienced management teams with expertise in the indication area. It will consider first-time-CEOs who have been able to attract seasoned professionals on the board and SAB.